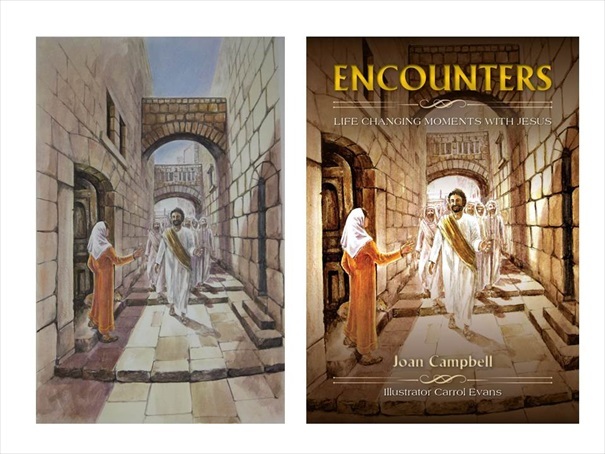 I knew beyond a shadow of a doubt who my first official ‘Celebrate Profile’ would be on—Carrol Evans, the illustrator of my book, ‘Encounters’. Carrol and I went to the same church for about twenty years and lived within a few kilometres of each other. 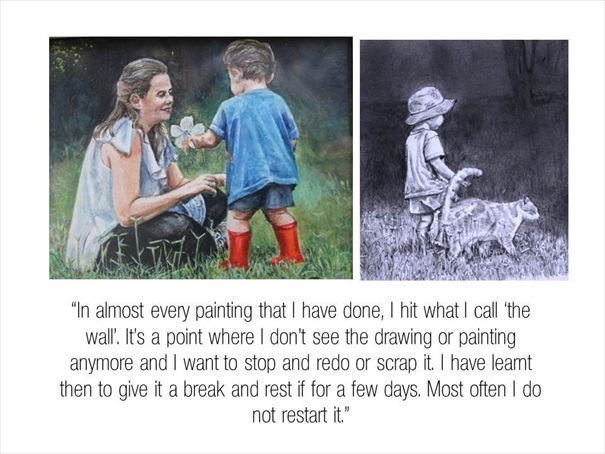 Ironically, it was only in the last year (and once she had moved 600km’s away) that I came to know and truly appreciate Carrol and her beautiful art. It all began when I was looking for an artist. I didn’t know very many. Then I remembered the gentle, soft-spoken woman with laughter-filled eyes who used to attend our church. 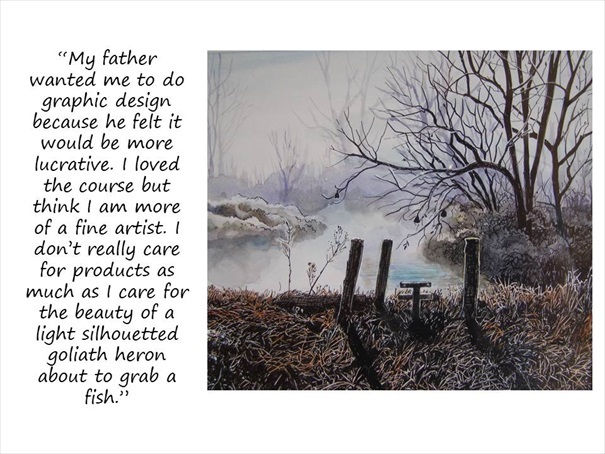 I chose well, for from the moment I shared the idea of ‘Encounters’ with Carrol, she caught the vision and became not only my artist, but my staunchest ally on the project. She told me afterwards how much (and why) she enjoyed working on the book. Shy, unassuming Carrol was slightly taken aback when I asked if I could interview her for this article. “I confess to wanting to be a bit of an ostrich and wonder if I have the courage to peel back this curtain,” she said. But then she proceeded to graciously give me (and you) a look into what inspires her and how she goes about creating her art. 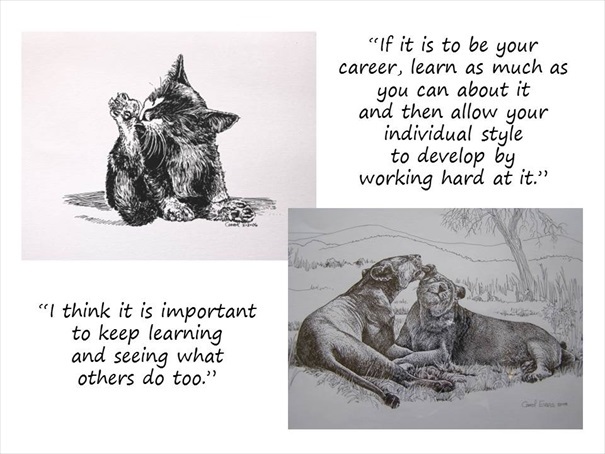 Here are some of Carrol’s illustrations and paintings, coupled with her insights into her own process of inspiration and creativity. Carrol didn’t just do the cover; she did a pencil illustration for every chapter of my book (20 in all). They capture every encounter beautifully. Here are just two of them. Carrol has touched many with her light-filled art and life, and I am grateful to be able to call her my friend. Tagged art, artist, Carrol Evans; Encounters, Creativity, inspiration. What beautiful artwork and what a lovely tribute; I think Carrol can be honoured to call you friend, too — as am I. Thank you Joan, for all your kind words; and for a treasured, inspirational friendship! You touch hearts and draw us to God in such creative ways – the true artist!! To acknowledge one’s talents is never easy but a necessary step in life. It inspires others to live their passion and realise their dreams. 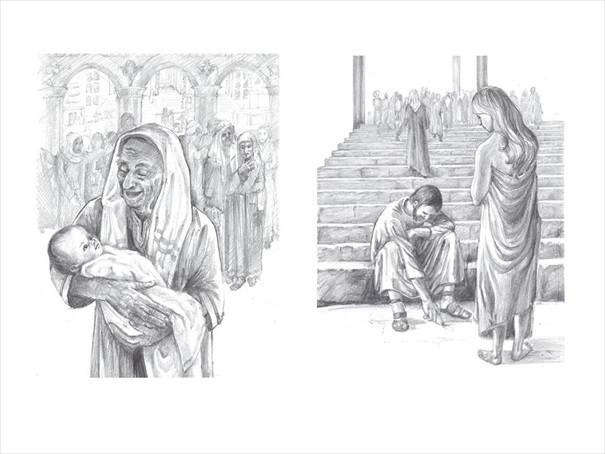 Carrol has such an amazing ability to capture and evoke emotion. Thanks for the interesting and thought provoking article. 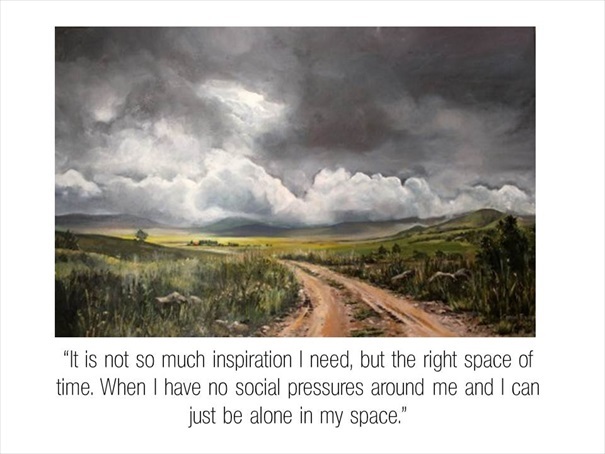 Thank you Shelley – I agree about her art evoking emotion – that’s exactly the effect it has on me. I know – that giraffe is just so real! Thanks Joan for this wonderful tribute to a truly inspirational woman. It brought back such fond memories going back more than 20 years now when Carol and I used to do those early morning runs around Florida Lake together. Carol taught me that you can run and pray (yes, with our eyes open) at the same time! Thanks Carol for those memories and for your positive influence on my life. John, thank you so much for adding your own special memories to the tribute. Beautiful Beautiful Beautiful… the words, the friendship, the special character of Carol, the art. I have tears in my eyes. Thank you for sharing your special friend and showing us her art. 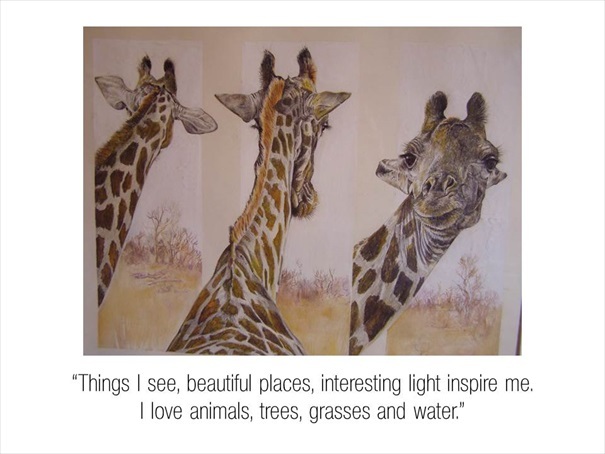 Wow Carol – you are amazing and God’s love shines through your art. It was a sad day for me when Carrol and John moved away.. Real people are rare – and precious. 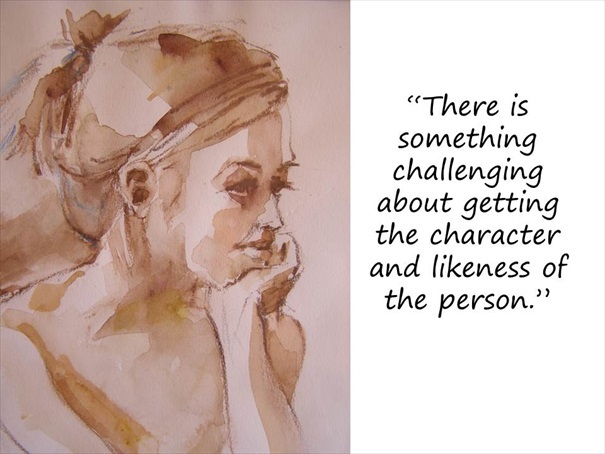 Carrol’s art is just like she is – sensitive, positive, authentic – so lovely! Thanks for blessing us with this peek into her work. I do miss her, and am reaching for the phone…. I must say that both you and Carol are an inspiration to me. Each time I read something written by you I stand back in amazement. Just as Carol’s drawings are a piece of art, so are your words!